High above the New Mexico desert, Google is experimenting with new wireless broadband tech that could one day replace LTE. 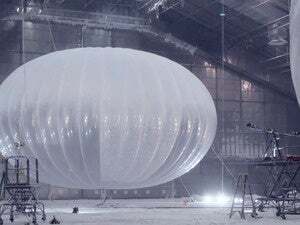 If you follow Google relatively closely, you probably know about Project Loon, an effort to provide Internet access to those in rural areas or affected by natural disasters using LTE-equipped balloons. According to a new report from The Guardian, Project Loon has some company. As part of another project, called Project Skybender, Google is experimenting with a fleet of solar-powered drones equipped with a new, super-high-speed wireless broadband technology that’s up to 40 times faster than LTE. The story behind the story: Although Project Skybender is new to us, Google’s interest in millimeter-wave radio technology is not. 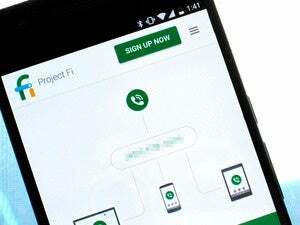 In 2014, the company filed paperwork with the FCC in which Google laid out plans to test the up-and-coming wireless technology in San Mateo, California. Google had apparently been looking into millimeter-wave radio tech for at least two years prior to that, our Mark Hachman reported at the time. Millimeter-wave technology has a long way to go until it’s ready for prime time, though—its range is limited compared to LTE, as The Guardian notes in its report. Fruit of the (Project) Loon? The Guardian notes that Project Loon and Project Skybender both fall under the purview of Google Access, the same group responsible for Google Fiber, which ReCode profiled back in November. Beyond that, the relationship between the two projects is unclear: Is Skybender the eventual successor to Project Loon? Will the two projects eventually become one? For most of us, the answer to those questions don’t really matter. Google’s work toward expanding broadband’s reach does matter, however, and it’ll be interesting to see how it develops from here.